DAYTON, OH—December 6, 2018 —Several Faruki+ attorneys have been recognized for their notable talents in law in the 2019 edition of Ohio Super Lawyers magazine. D. Jeffrey Ireland was again awarded the title and has been named to the "Top 5 in Cincinnati" and "Top 100 in Ohio." Partners Jeff Cox and Erin Rhinehart were also named Ohio Super Lawyers for 2019. Christopher Hollon was named a 2019 Ohio Rising Star. Super Lawyers is a rating service of outstanding lawyers from more than 70 practice areas who have attained a high degree of peer recognition and professional achievement. The selection process is multi-phased, and includes independent research, peer nominations and peer evaluations. Rising Star recognizes the top up-and-coming attorneys in the state – those who are 40 years old or younger, or who have been practicing for 10 years or less. Super Lawyers magazine is published in all 50 states and reaches more than 13 million readers. For more information, visit http://www.superlawyers.com/. A founding partner of Faruki+ and recognized each year by his peers in the Ohio Super Lawyer poll, Ireland has tried cases throughout the United States in federal and state courts. His practice focuses on employment, trade secrets, competitive issues, advertising and class actions. Jeff, and his wife Ellen Ireland, are recipients of the 2018 Outstanding Volunteer Fundraiser Award. He is listed in the 2019 edition of Best Lawyers of America, and is also Best Lawyers' Lawyer of the Year. For 2019, Jeff was also selected to the National List of Influential Attorneys by The Business Journals. The University of Dayton School of Law awarded him its Distinguished Alumni Award for his service to the community and the profession. Ireland is the firm's managing partner. Jeff Cox has tried cases in both state and federal courts, and handled numerous arbitrations and mediations before the American Arbitration Association. His practice includes a range of commercial and business litigation, as well as class action defense, privacy and data protection disputes, intellectual property litigation, federal regulatory investigations, and competition disputes. Cox has been recognized as an Ohio Super Lawyer every year. He is listed in the 2019 edition of Best Lawyers of America for commercial litigation, and also recognized as an America's Top 100 High Stakes Litigators by America's Top 100 LLC for 2019. He is a Senior Fellow of the Litigation Counsel of America, Life Fellow of the Federal Bar Association Foundation and a Life Fellow of the Foundations of the American Bar Association, the Ohio State Bar Association and the Dayton Bar Association. Jeff is Editor of the Federal Bar Association's federal litigation newsletter, and is Past President of the FBA's Dayton Chapter. Cox is President of the Dayton Lawyers Club, and also is a past president of the Carl Kessler Inn of Court. Cox served three terms as Chair of the Board of Trustees of Chaminade Julienne High School and is Vice Chair of the Community Resource Board for WYSO Public Radio 91.3 FM, the National Public Radio affiliate for Greater Dayton. Erin Rhinehart is an experienced trial lawyer with a focus on the resolution of complex business disputes in state and federal courts across the United States. Erin leads Faruki’s media and communications practice, defends class action litigation, and assists clients as they navigate a variety of contract issues. Erin’s media law practice includes analysis of issues including First Amendment, online & traditional defamation, public records, trademark, copyright, trade secrets, open courts, branding, advertising law, social media, and certain privacy issues. Her class action work spans state and federal courts and includes defense of consumer, mass tort class, and environmental issues. The remainder of her practice focuses on review and litigation of licensing, distribution, master services agreements, franchise agreements, non-compete issues, development agreements, entertainment, non-disclosure, and non-disparagement agreements. In 2018, Rhinehart was named as one of Dayton Business Journal's Power 50 recipients for, which identifies Dayton's most influential business women, and she was recognized as an America's Top 100 High Stakes Litigators by America's Top 100 LLC for 2019. Erin is currently an Executive Editor for the American Bar Association's Section of Litigation flagship publication, Litigation Journal, and the immediate past President of the Dayton Chapter of the Federal Bar Association. Erin was included among Benchmark Litigation's 40 & Under Hot List for 2019, and has also served as an adjunct professor at the University of Dayton School of Law, teaching various trial practice courses to second and third year law students. Christopher Hollon represents clients facing a variety of complex issues, including breach of contract, media and communications law and public utilities. He honed the skills necessary to handle such matters while clerking for judges of the U.S. District Court for the Southern District of Ohio and the Ohio Court of Appeals. Hollon is a graduate of The Ohio State University Moritz College of Law and the University of Notre Dame. Faruki+ (www.ficlaw.com) is a litigation firm with offices in Dayton and Cincinnati that handles complex disputes, including intellectual property, class actions, competition-based litigation, employment, antitrust, privacy, commercial litigation, arbitration and white-collar litigation. 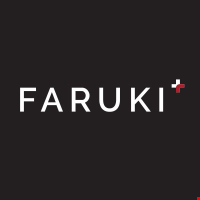 You can find Faruki+ on LinkedIn and Twitter at @FarukiMediaLaw and @FarukiPrivacy.